Combination of two or more actual routes in which one must be open route. 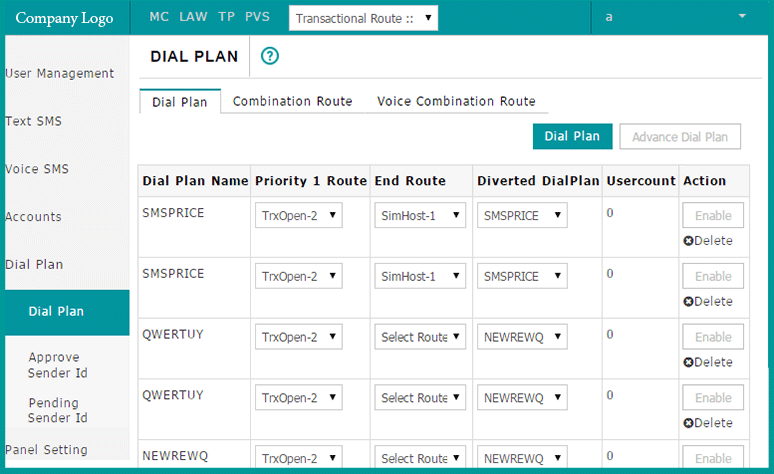 Name Of “Dial plan” and its details are shown here. To make the services better by routing the routes properly. At the back end make available the other route to send the sms,if main route is not functioning properly.